Ricardo Darín (Alejando) is a Buenos Aires-born actor, screenwriter and film director widely considered to be one of the best and most prolific actors of Argentine cinema. He’s delivered acclaimed performances in films including 2000’s Nine Queens, 2004’s Luna de avellaneda, 2005’s The Aura and 2007’s La señal, which also marked his feature directorial debut. In 2009, he starred in The Secret in Their Eyes, the Academy Award-winner for Best Foreign-Language Film, and in 2015, he received the Goya Award for Best Actor for the film, Truman. After making his stage debut alongside his parents Ricardo Darín Sr. and Renée Roxana at the age of 10, Darín began working in television with producer Alberto Migré on such series as Alta Comedia and Estación Retiro. He became known as one of the galancitos, charming young actors who brought popular TV series to the stage, appearing in such productions as “He nacido en la ribera,” “La rabona” and “Los exitos del amor.” In 1987, Darín starred in the television series Estrellita mía, with Andrea Del Boca, and two years later, in Rebelde, with Grecia Colmenares. He made the leap to comedy in the early 1990s, enjoying tremendous success co-starring in the 1993 remake of the 1970s TV show Mi cuñado, alongside Luis Brandoni. As he built his screen career, Darín continued to perform in theatrical productions such as “La extraña pareja,” a Spanish adaptation of Neil Simon’s “The Odd Couple,” “Taxi,” “Sugar,” “Rumores,” “Algo en común” and “Art.” He debuted as theater director in 1990, with the production “Pájaros in the nait,” starring Adrián Suar, Diego Torres and Leonardo Sbaraglia. Darín’s early films were made largely for young audiences, but in the 1980s, he began to move toward the more mature complex roles for which he would become best known with titles such as El desquite (1983), La rosales (1984) and Revancha de un amigo (1987). Darín’s first real critical acclaim came for his performance in the 1990s with Perdido por perdido (1993), directed by then-newcomer Alberto Lecchi. Subsequently, the actor appeared in Eduardo Mignogna’s 1998 drama El faro and starred in Juan José Campanella’s 1999 romantic comedy El mismo amor, la misma lluvia, in which he played a writer who falls for a waitress. 2004’s Luna de avellaneda, 2005’s The Aura, 2006’s The Education of Fairies and 2007’s La señal, the latter of which also marked his feature directorial debut. The following year, he starred in another winning romantic comedy, Lovely Loneliness. In 2009, Darín’s unforgettable performance as a man haunted by his past helped director Campanella’s mesmerizing drama The Secret in Their Eyes win the Academy Award for best foreign-language film. The same year, he starred in The Dancer and The Thief, which was followed by 2010’s Carancho, 2011’s Chinese Take-out, and 2012’s White Elephant and A Gun in Each Hand. 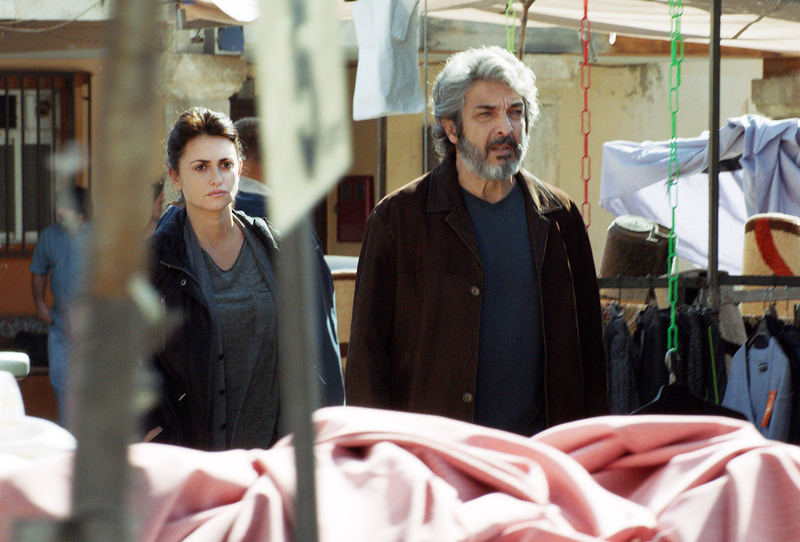 In 2013’s Thesis on a Homicide, Darín starred as a professor who believes one of his students has committed a murder. Among his most recent films credits are 2013’s 7th Floor and Violet, as well as 2014’s Wild Tales and 2015’s Truman, for which he earned a Goya Award. Additionally, Darín starred in 2016’s Kóblic, 2017’s Black Snow and The Summit. The winner of 5 Silver Condor Awards from the Argentine Film Critics Association, Darín in 2011 received the Konex Foundation’s Diamond Award, one of Argentina’s most prestigious honors, for being the country’s most important entertainment personality in the last decade. In addition to EVERYBODY KNOWS, he can next be seen in An Unexpected Love, which will open the San Sebastian Film Festival, and Terra, written and directed by Walter Salles.